The Bogner Fire + Ice Lela3-D Down Ski Jacket with Real Furis a best seller — and for good reason. 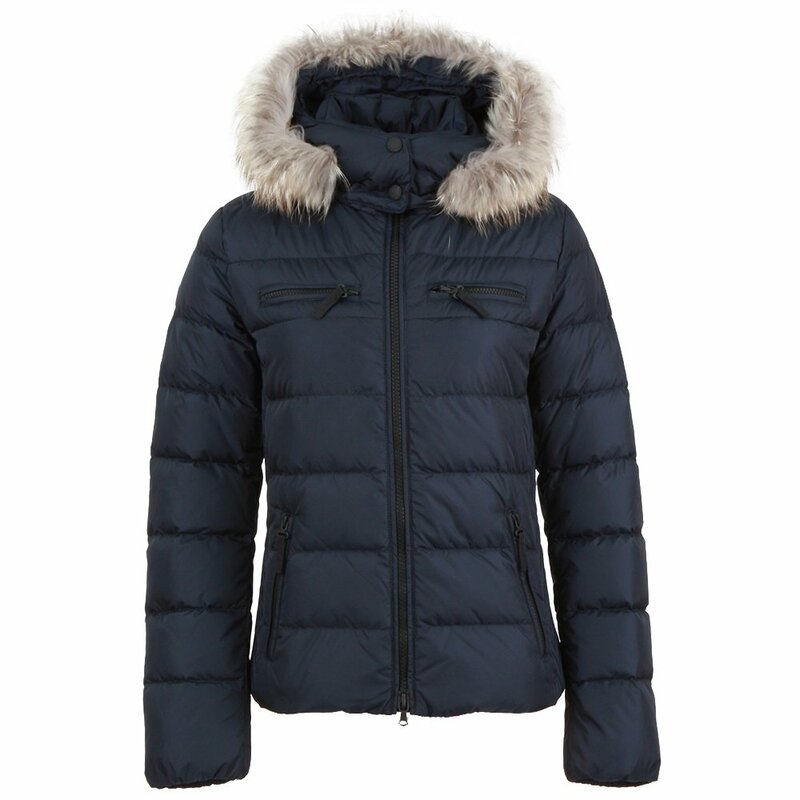 It easily goes from ski wear to city wear, thanks to smocked side panels that give this jacket a fitted look and a posh raccoon fur hood detail. Despite the sleek silhouette, this women’s winter jacket manages to house 650 fill-power duck-down insulation. The Bogner Fire + Ice Lela3-D Down Ski Jacket with Real Fur is made with an active nylon fabric and has a DWR waterproof finish. "Do you ship to uk; interested in Lela 3 down does it have elastic side panels like the leonny d "
"Thank you for contacting us. The Bogner Fire + Ice Lela3-D Down Ski Jacket does not have elastic sides. Yes! Peter Glenn ships internationally to select countries through our partner, Bongo International. During the checkout process, once you select the country that you would like to ship to, you will be taken to the Bongo website where you will complete your transaction. Before your order is complete, Bongo will calculate all shipping, duty, taxes and processing fees for you to review. Bongo will also be accepting and processing your form of payment. Unfortunately, due to dealer agreement restrictions, we are not allowed to ship the following brands outside of the USA: Burton, Special Blend, Forum, Foresquare, K2, The North Face, Spyder, Sorel, Columbia, 686, Lib Tech. Please contact our customer service team for more information or if you need help placing your order. " "I’m very interested in the Fire + Ice jacket but I’m concerned over your rating on the weatherproof - with the 2/10 rating what is the expectation for snow? Will it resist the snowy conditions?" "Thank you for your inquiry. The Bogner Fire + Ice Lela3-D Down Ski Jacket with Real Fur is great for dry to light snow, offers limited protection, great for everyday wear. We hope this information helps! "